We’re grateful to everyone who has supported our campaign to make the fight against drug-resistant tuberculosis (DR-TB) a priority. Your signatures have helped to amplify the call for better diagnosis, treatment and funding for those affected by the epidemic. Delivering the DR-TB Manifesto to world health leaders in Geneva, Switzerland, is only one step in our continuing fight to radically improve DR-TB care. We, the people infected with drug-resistant tuberculosis (DR-TB), live in every part of the world. 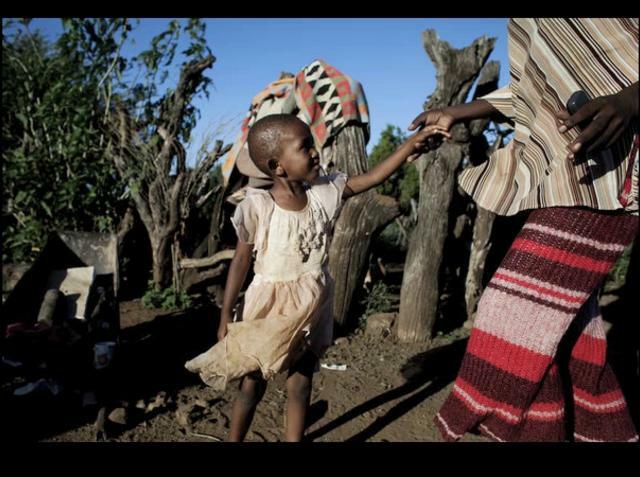 Most of us were exposed and became infected with DR-TB because of the poor conditions in which we live. Undiagnosed, this disease spreads among us. Untreated, this disease kills. 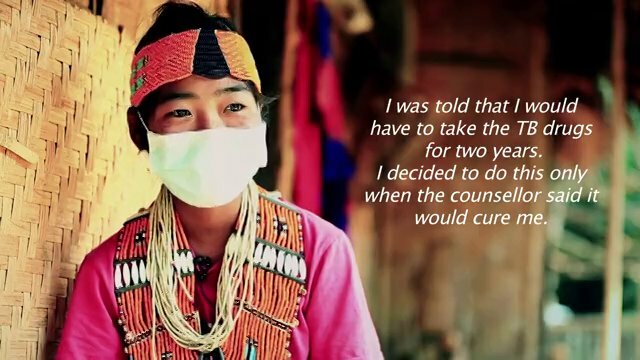 But in the countries in which we live, fast and accurate diagnosis is rarely available and only about one in five of us actually receive effective DR-TB treatment. Those of us “lucky” enough to receive treatment have to go through an excruciating two-year journey where we must swallow up to 20 pills a day and receive a painful injection every day for the first 8 months, making it hard to sit or even lie down. For many of us, the treatment makes us feel sicker than the disease itself, as it causes nausea, body aches and rashes. The drugs make many of us go deaf permanently and of us develop psychosis. For most of us, life as we knew it changes dramatically. We cannot go to work, or take care of our loved ones, or go to school. Often, we are stigmatised and face social exclusion. Surviving this treatment itself is a huge challenge — one that many people cannot manage. But we have no choice if we want to live. So we must be brave, strong-willed and have hope that we will be cured. We need immense support from our medical staff, our family and our friends to help us complete our treatment. And even then, only half of us are successfully treated with the current drug regimens. For every person with DR-TB who signs this manifesto, there is another person who is no longer able to. The demands we make in this manifesto are therefore made in honour of their memory. 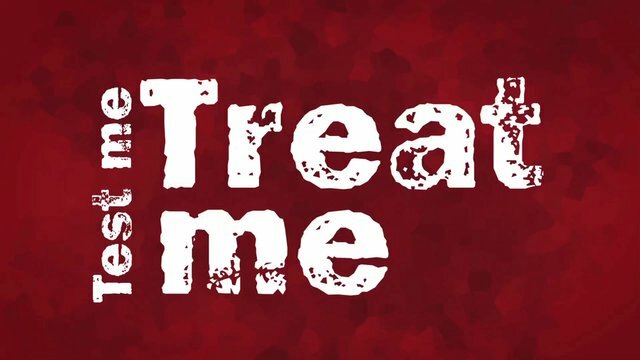 We, the medical staff who provide medical care for people with DR-TB, find it unacceptable that the only treatment options that we can offer people cause so much suffering, especially when the chance of cure is so low. We have no choice but to juggle combinations of largely ineffective and toxic drugs, while doing our best to manage the debilitating side effects and provide as much support and counselling as possible with limited resources. 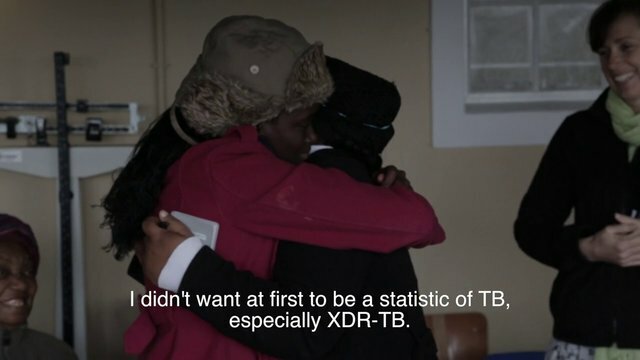 As the epidemic continues to spread, DR-TB becomes increasingly hard to tackle. The treatment is too long, too toxic and too costly – the drugs alone cost at least $4,000 just to treat one person. 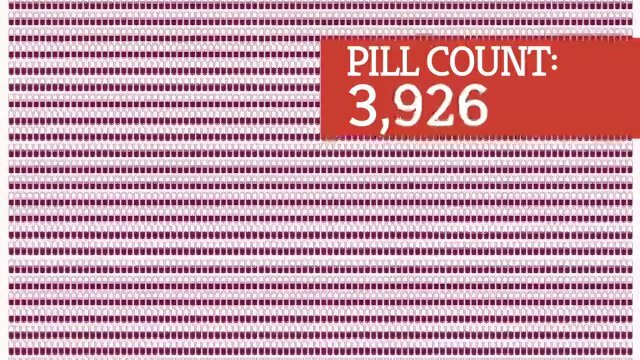 We want to save many more lives, but we desperately need shorter, safer and more effective treatment to do so. especially our children, to ensure they get necessary treatment or prophylaxis and if necessary, for our children to be treated close to home and not far away in specialist hospitals. We ask for ourselves and our families to be educated and supported through adequate counselling and to be more involved in decisions regarding our treatment. Healthcare staff should be trained to manage DR-TB within existing TB programmes at a local primary care level, so that DR-TB testing, treatment and ongoing care is accessible to as many people as possible and as close to their homes as possible. injections. We need new drug formulations, like syrups or smaller tablets, that our children with DR- TB can easily swallow. 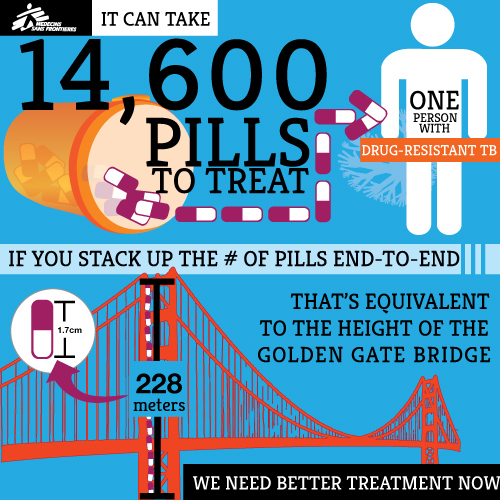 We need DR-TB drugs which do not interact with HIV medicines and which allow both diseases to be treated effectively. 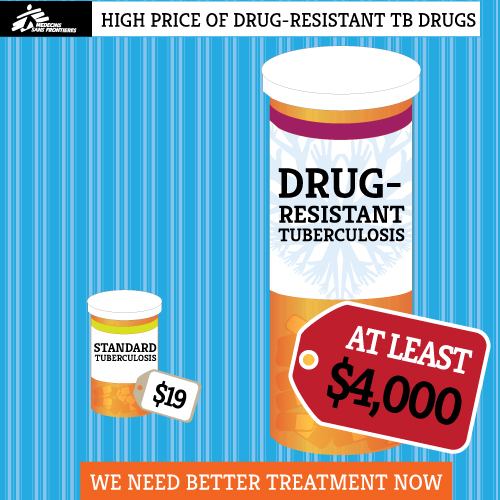 We need drug companies to make existing DR-TB treatment as well as newly-developed drugs available at affordable prices in countries with the greatest burden of disease to ensure those most affected are able to access effective treatment. new and existing drugs to respond to the wide range of drug resistance. Research and development must be financed to rapidly develop not only effective and safe new drugs, but also easy-to-use, accurate and affordable diagnostics, as well as development of a vaccine to prevent the spread of TB. 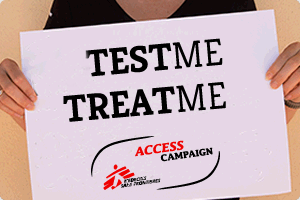 The “Test Me, Treat Me” DR-TB Manifesto grew out of the frustration of patients and medical care providers alike. 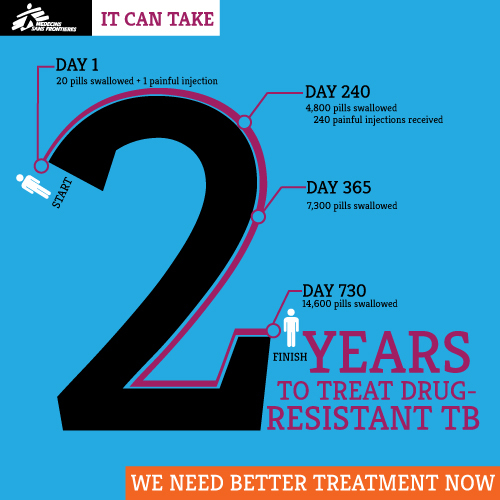 DR-TB is fatal without treatment, lasts about two years and can have devastating side effects. Only about 50% of patients are successfully cured. Phumeza Tisile, an XDR-TB patient from South Africa, and her MSF doctor Jenny Hughes couldn’t see such suffering without taking action. 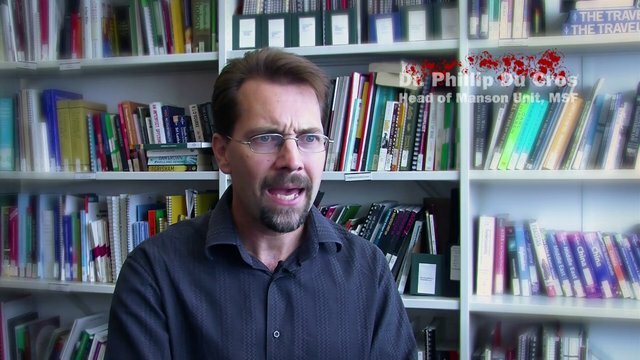 They wrote the DR-TB Manifesto to build support for improved DR-TB diagnosis, treatment and funding. 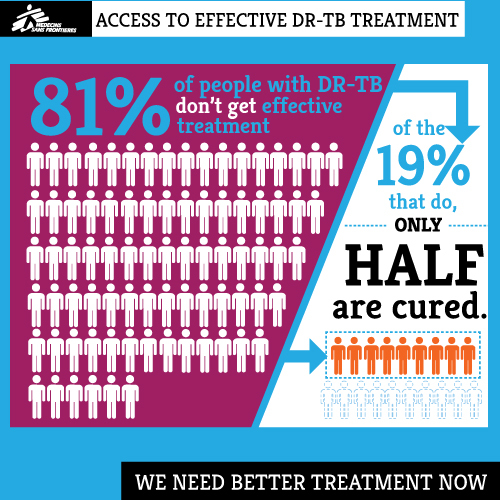 Patients, doctors and others from around the world signed our petition to support the DR-TB Manifesto. 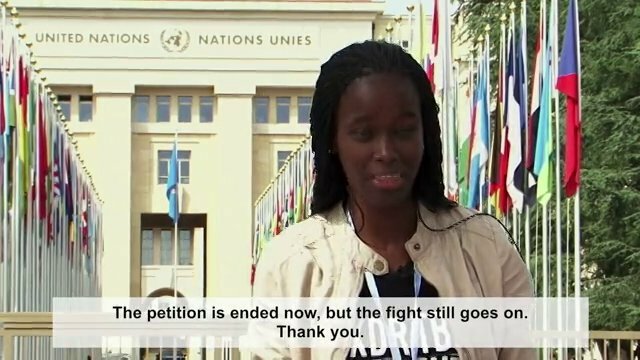 In May, 2014, Phumeza brought the DR-TB Manifesto and supporting signatures to World Health Assembly delegates in Geneva, Switzerland, as they adopted an ambitious 20-year global plan to address TB. Today, the DR-TB Manifesto stands as proof that the world demands a robust response to the DR-TB epidemic. No! 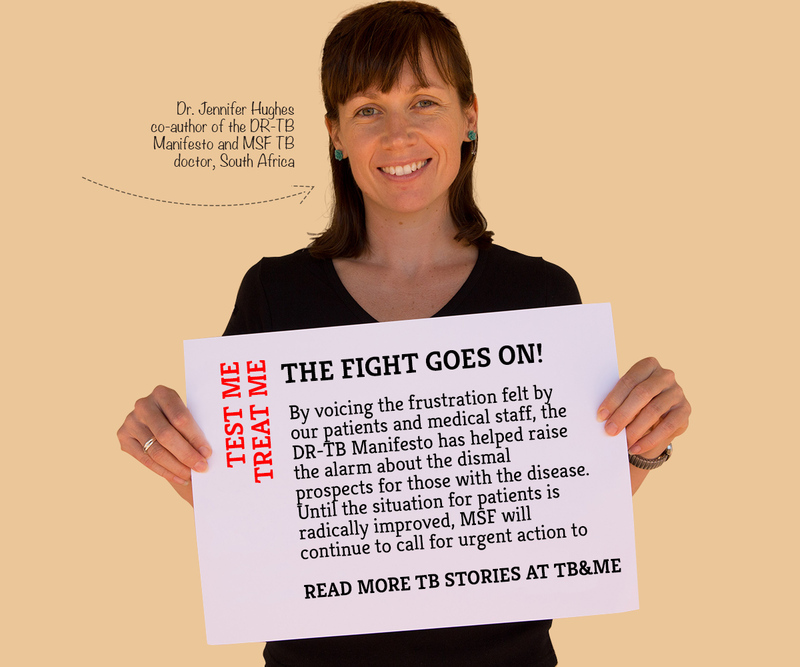 The urgent demands of patients and doctors are at the core of MSF’s continuing advocacy on DR-TB towards governments, funders, researchers and pharmaceutical companies. 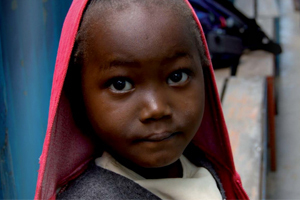 We won’t stop until we see radical improvements in survival rates of those afflicted by DR-TB. We’ll continue to send updates to those who signed the petition -- if you didn’t have a chance to sign, you can still receive updates and join other MSF campaigns by signing up here. 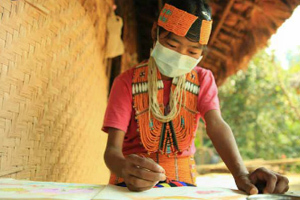 Saw Naing from Myanmar was diagnosed with MDR-TB in October 2012. He is currently taking a cocktail of six drugs and is being closely monitored by Dr Pyae Phyo Aung, in the MSF project in Yangon. Said-Hussein Sadulaev lives in Chechnya, Russia and was diagnosed with MDR-TB in August 2012. Said-Hussein was put on treatment by Dr Satish Chandra Devkota, a Nepalese DR-TB doctor who’s been working in the MSF project for two years. 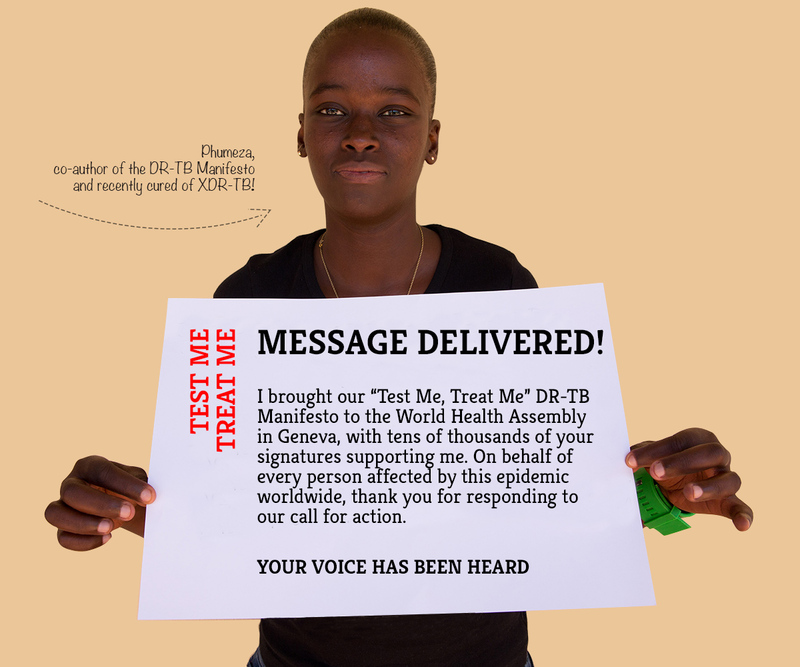 Organisations involved in DR-TB care can endorse the DR-TB Manifesto – please email us to start the process! 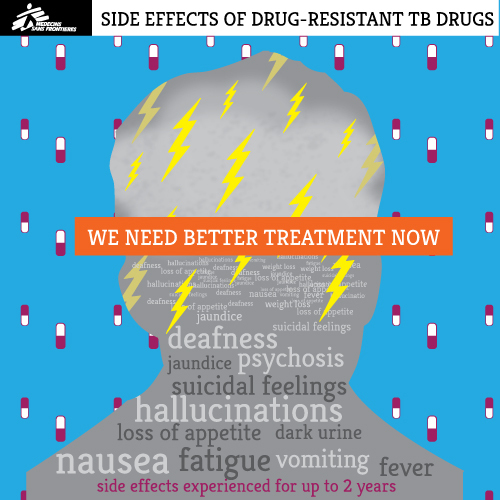 Drug-resistant tuberculosis (DR-TB) is used to describe strains of TB that show resistance to one or more first-line TB drugs, and is an umbrella term encompassing MDR-TB and XDR-TB. Multidrug-resistant tuberculosis (MDR-TB) is a strain of TB that is resistant to two of the most powerful first-line TB drugs. Extensively drug-resistant tuberculosis (XDR-TB) is caused by strains of MDR-TB that are also resistant to multiple second-line TB drugs. 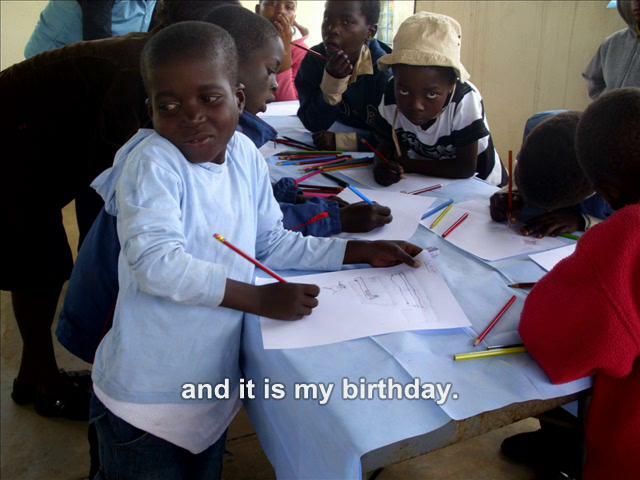 Sign up to receive monthly updates from the MSF Access Campaign. We will not share this information with others. 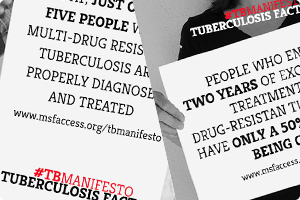 Thank you for joining the TB Manifesto campaign! 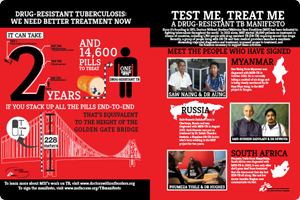 Please share this page with your friends and colleagues and help us recruit more supporters and gain as much support as possible for the fight against drug-resistant tuberculosis. We’ll send important campaign updates to you via email (no more than once a month), or through our Facebook and Twitter accounts, so make sure you are connected!